Lorraine and Steve from Hillside Herbs have held an annual Chilli Festival in February for 15 years. The event has always been well patronised, as chillies are popular cooking ingredients in numerous countries, are easy to grow and are also very decorative. The couple identified this as a potential fundraising opportunity for Willunga Recreation Park Inc. After discussion, the Rec Park committee approached the Thompsons and proposed taking on the Chilli Festival for 2019. With much more space available at Rec Park, this would allow for more stallholders, including the Artisans Market, and visitors could experience all that Willunga has to offer. Lorraine and Steve were enthusiastic about the idea and have agreed to co-sponsor the 2019 event, sharing their contacts and expertise. Chilli Fest Willunga will be held on the weekend of 9 – 10 February 2019 in the Festival and Show Halls and the adjoining outdoor area – the undercover air conditioned halls will be of great benefit given the usual high February temperatures. Coinciding with the monthly Quarry Market, as well as the weekly Farmers Market and Green Light Organic Market, activities will spread throughout the town. 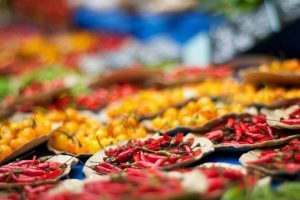 On site in the halls, there will be live music, stalls and various chilli-related demonstrations, such as cooking with chillies, how to grow them, and even how to use them in floral art. On the northern side next to the Show Hall there will be a shaded beer garden, where visitors can enjoy local beer and wine and chilli inspired food. Entry will be only $5 per adult, children under 16 free, so make sure you save the date and attend the hottest fundraiser yet to support our community owned and managed Rec Park redevelopment. 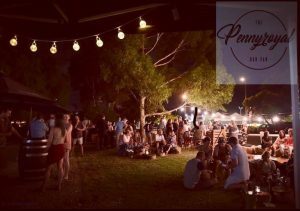 The Pennyroyal Bar Van is a small, vintage caravan bar with local beer, wine, food and entertainment. They open Friday nights throughout January, February and March. They pride themselves on creating a relaxed, welcoming vibe, serve nothing but local products and feature different food vans and musicians every week. On a quaint grassed area – smack bang in the middle of McLaren Vale. Bring your mates or it is kid friendly for an evening out. 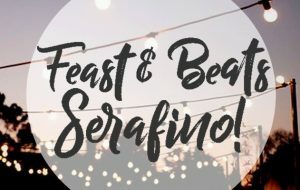 Kick off your weekend with Serafino on the 3rd Friday of the month throughout November – March 2019 with a lively evening filled with delicious food and wines. Enjoy free entertainment from local performers and DJ’s as you set up on the grass in front of their lake, under their magnificent 200 year old gum trees. This is a family friendly event. Sit back and unwind after a long week with a glass or two of Serafino wines, whilst your children tire themselves out running around our expansive lawns or on the free bouncing castle. After a crazy, fun, summer holiday at the Paxton Cabana Club on Port Noarlunga Beach, they have opened the Paxton Wine Bar in amongst the vines. Friday and Saturday nights is the place to be for a knock off drink or a twilight experience to visitors of McLaren Vale. 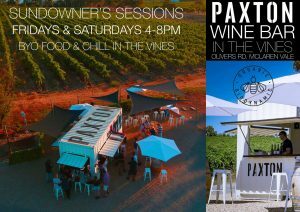 Friday and Saturday Nights 4-8pm – BYO food and chill out with a Paxton Wine. Let us know what you like to do when you visit a wine region? We encourage you to go ‘Over The Top’ by joining the ‘Oliver’s Taranga Team’. Receive your favourite Oliver’s Taranga Wines delivered to your door every three, six or twelve 12 months.